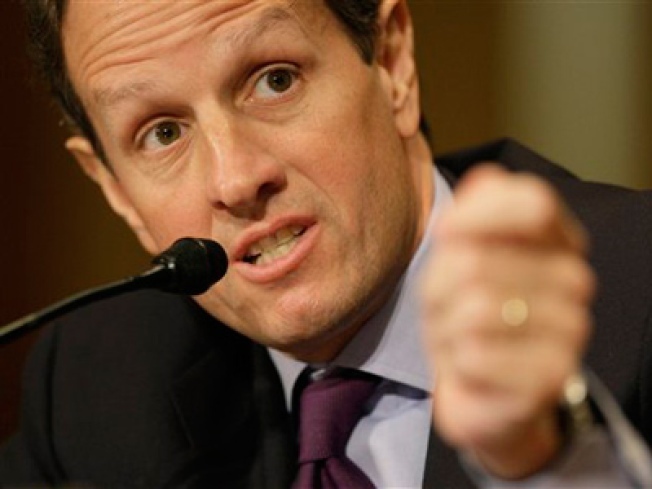 Treasury Secretary Geithner said the Obama administration has no intention of nationalizing banks. Treasury Secretary Timothy Geithner made it clear in remarks to reporters Wednesday afternoon that the Obama administration does not plan to nationalize banks or wipe out the value of bank stocks. “We have a financial system that is run by private shareholders, managed by private institutions, and we’d like to do our best to preserve that system,” Geithner said in remarks carried by CNBC. “We’re looking at a range of options in that context, and we hope to be in a position in the next – relatively soon – to lay out what we believe is a viable program,” Geithner said. Treasury said participants included Gene Dodaro, Acting Comptroller General of the Government Accountability Office; Neil Barofsky, TARP Special Inspector General; and Congressional Oversight Panel members Elizabeth Warren, Damon Silvers, Richard Neiman, Rep. Jeb Hensarling (R-Tex.) and former Sen. John Sununu (R-N.H.).